My personal preference at any party - is a glass of sweet and bubbly champagne. I thought you would be interested to know about the most expensive brands of this timeless drink. This wine is a creation of famous American Winery, Schramsberg. He started to make quality Champagne since 1956. He was the first American person who was trying to make high quality sparkling champagne. He is one of popular winery who uses Methodé Champenoise to create a quality wine. 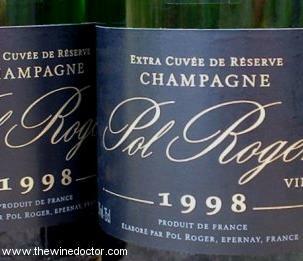 Pol Roger is another American Winery who makes high quality wine for the wine Market. The wine is recognized as the priciest vintage fizz on the major market. It is creamy and delightful champagne from Laurent-Perrier’s Bernard de Nonancour. The main ingredient is chardonnay and pinot noir grapes and Laurent adds a new taste from 3 different vintages to the champagne. Krug Grand Cuvée is made of the mixing of vintage-quality wines which are more than 1 year old. The price is equal with the long process and quality ingredients. Salon 1995 is 16 years old champagne where the ingredient was taken from Grand-Cru-rated vinery and the company only stocks 1,333 bottles for the American. Dom Pérignon Rosé 1995 champagne is a Strawberry fizz and it is known as one of the very best and finest in international wine market. It is limited edition and rare. Only 40 bottles of Bollinger Blanc de Noirs Vieilles Vignes Francaises 1997 that is available in US. The main ingredient (Pinot Noir grape) was taken from very old vineyard and the color of the champagne is golden color, bit darker than regular wines. Only 12,624 bottles of Krug, Clos du Mesnil 1995 available on our planet and the main ingredient is chardonnay. In the major wine market, it is known as “tête du tête” or the top of the top champagne. Champagne, a sparkling wine named after the Champagne region of France is the costliest wine to produce. To produce champagne there must be two fermentation processes, with the second step trapping carbon dioxide and making the bubbles. In most of Europe, the name “champagne” is legally protected meaning only the most expensive sparkling wine produced in the Champagne region of France can be marketed as champagne. In the United States and other areas, $3 bottles of wine are often labeled champagne. People often drink Champagne as part of a celebration and when celebrating success many feel the need to show off. The most expensive champagnes are more about image than what is in the bottle. These hundred year old bottles of Champagne from the Heidsieck vineyard in Champagne took over eighty years to reach their destination. 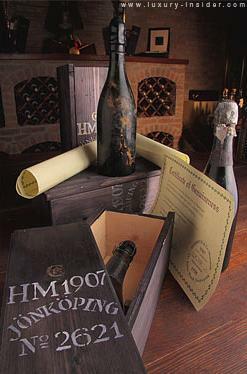 Shipped to the Russian Imperial family in 1916, a shipwreck off the coast of Finland caused this champagne to be lost at sea until divers discovered over 200 bottles in 1997. Now they’re finally being sold—to wealthy guests at the Ritz-Carlton hotel in Moscow, at least. Of course, the wine’s extraordinary tale and incredible age are what makes it the world’s most expensive champagne. From 10 most expensive champagne in the world above, which wine do you like to try?